The Lucan Spa Hotel is a wedding venue in constant pursuit of excellence and top quality service. This has been acknowledged by industry experts, with the hotel picking up a number of awards and certificates in recent years. 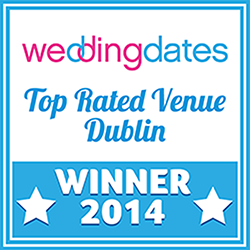 These include being voted finalists in the prestigious weddingsonline awards for 2012, 2014 and 2015. 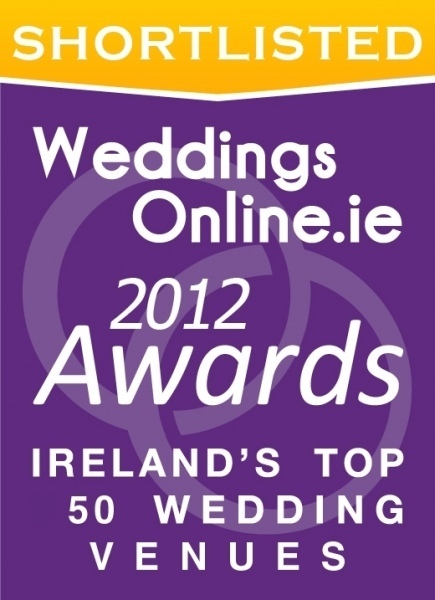 These awards placed our wedding venue and hotel within the top 50 Wedding Venues in Ireland. The Lucan Spa Hotel has also been acknowledged by popular wedding venue website WeddingDates. 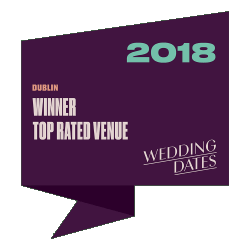 Our hotel was delighted to be voted “Top Rated Wedding Venue” in Dublin for 2014, a highly prestigious award, decided by the ratings of past bride and grooms who use the website.